Must be able to post ANN thread in local board. Junior Members or higher. Please post below for reservation - you will be contacted if you are selected! We will share all relevant files for easy translation. Hello. I'd like to reserve Spanish translation if possible. I would like to translate the Dutch files if possible, thx. I would like to translate the ARABIC files if possible, thx. For ANN translation Junior Members or higher is required (to post images in local forum). Hindi has already been translated. 7 languages still up for grabs. 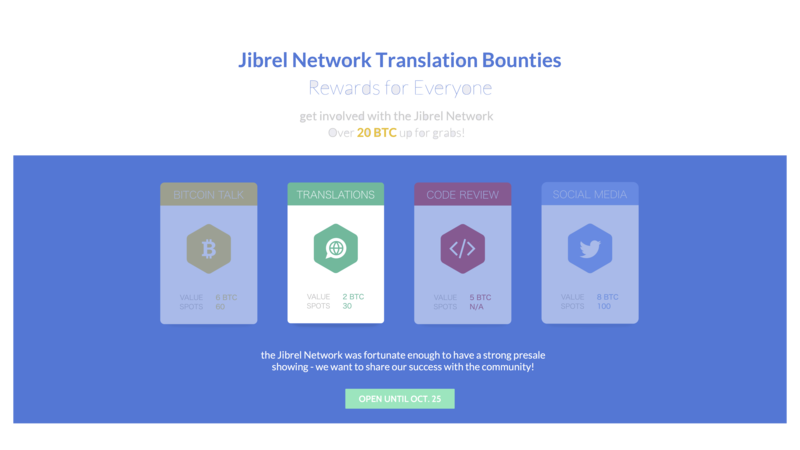 I want to reserve the FiliPino translation for The ANN thread And Whitepaper for jibrel network. I'd like to reserve Philippines translation for white paper, if its still available. Thanks. I'd like to reserve french translation ,Ann white paper,Thanks.